Now that spring has sprung here in Ohio, I am so excited to get out there and take some photos in the good weather and beautiful blooms (except for today i.e. lots of rain + wind). 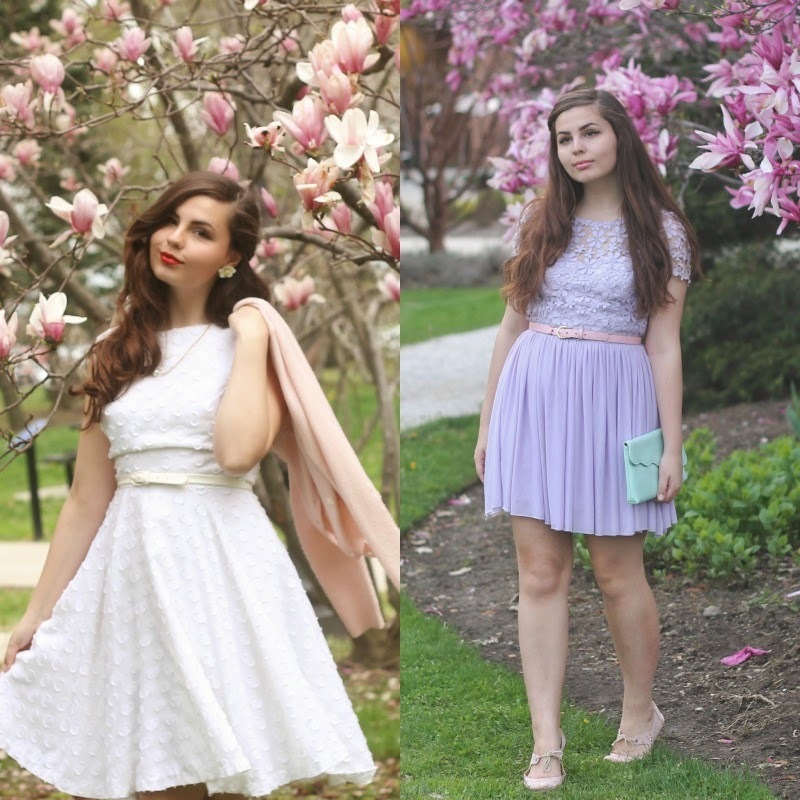 My post yesterday in front of the blooming tree piqued me to look back at past spring outfits while I've lived here at Kent for some inspiration. I've always kind of thought that fall was my favorite season, but after living three springs here in Kent my mind has definitely been changed. 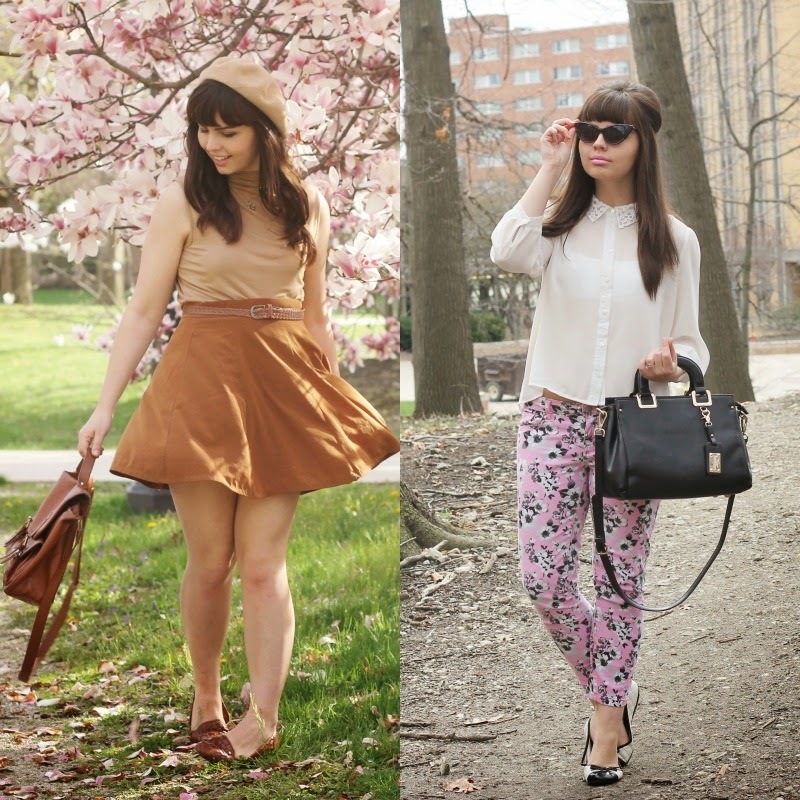 There is nothing better than this time of year, and I think my blog posts and outfits definitely reflect that. P.S. 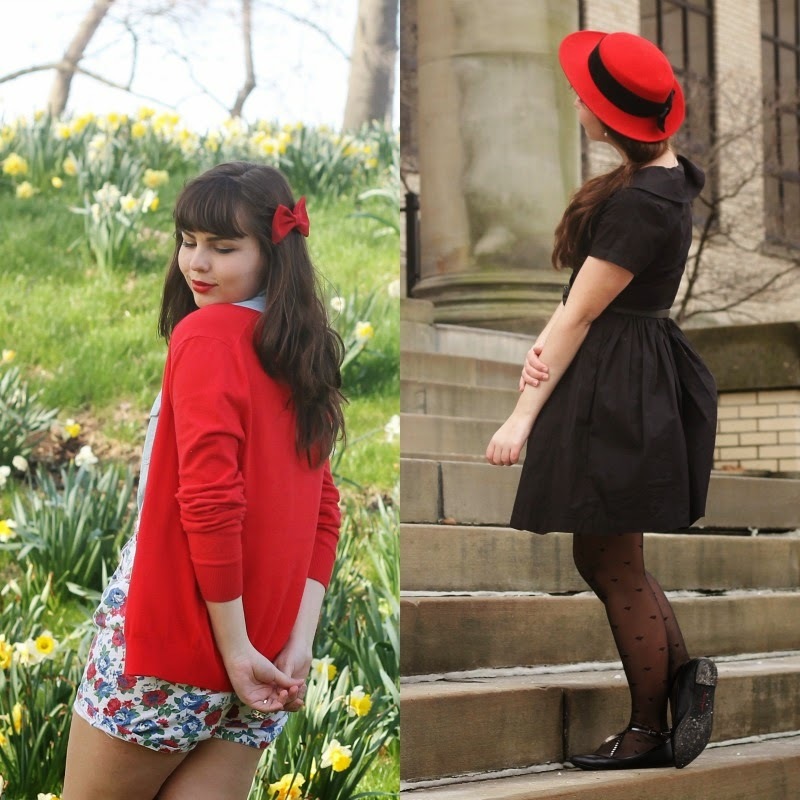 My blog facebook page is only 6 likes away from 500-- if you'd care to like it, it would mean so much! 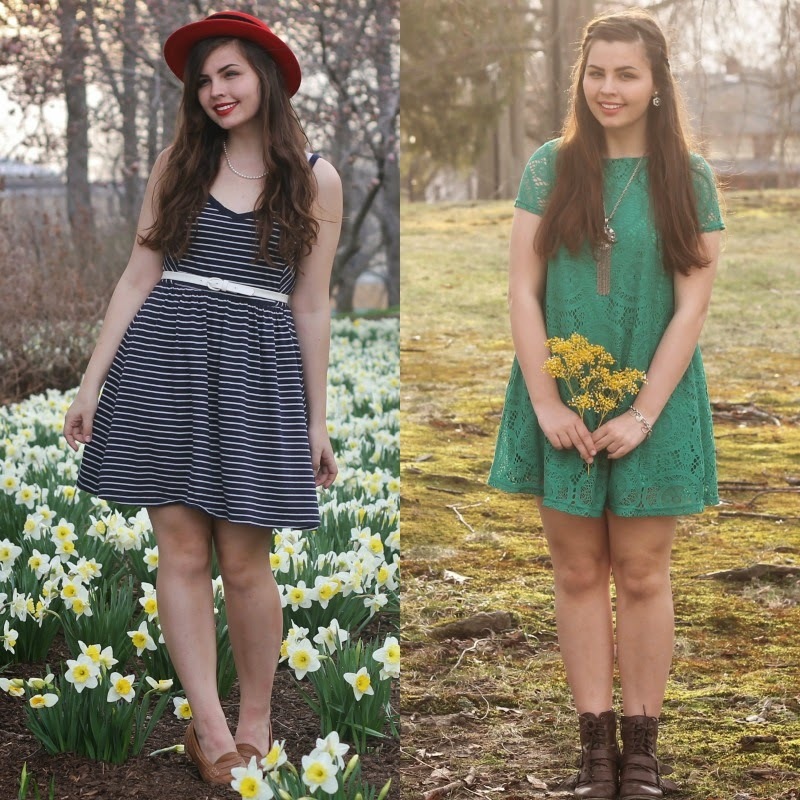 My favorite outfits are the red fit and flair dress, the green lace shift dress, and the light purple lace dress! Spring is one of my favorite seasons as well because of all the blooming flowers (but I do not enjoy the bugs). I also followed you on Facebook!! 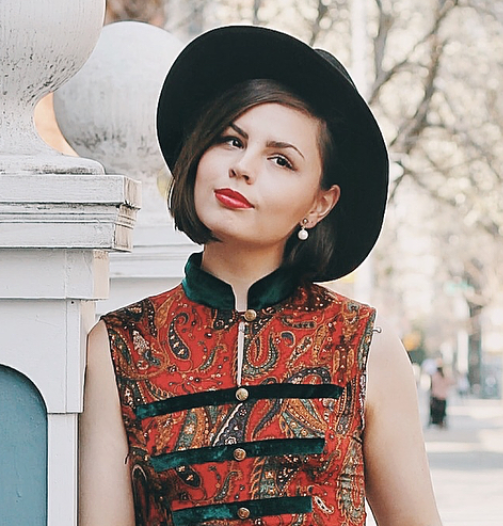 That red vintage dress post is definitely one of my all-time favorites of yours. 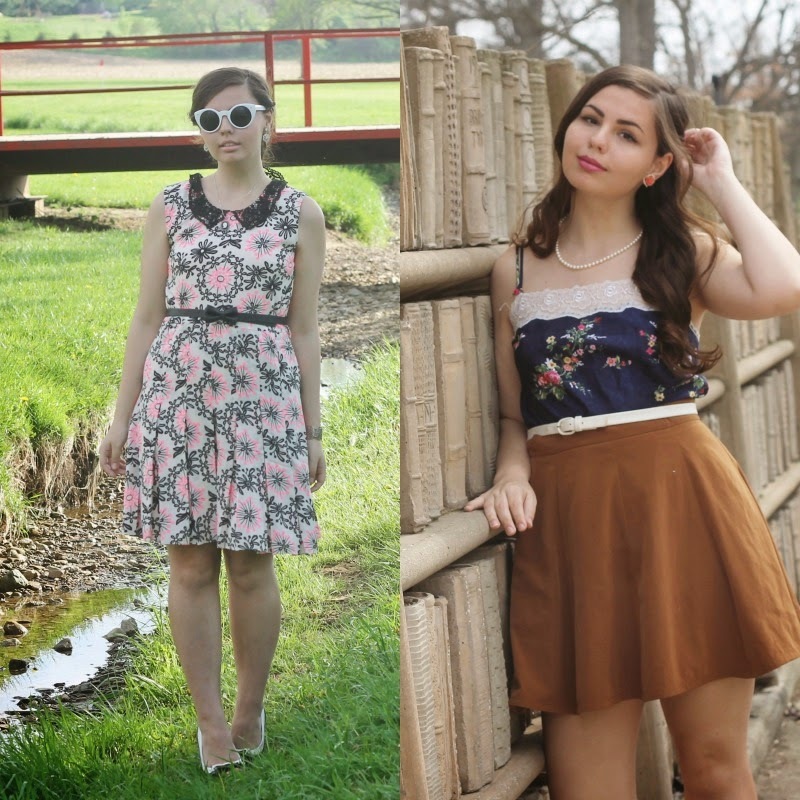 It's so much fun to see how your style has evolved as time has gone by! I'm also jealous of your flowering trees... we're still a bit behind on spring around here! 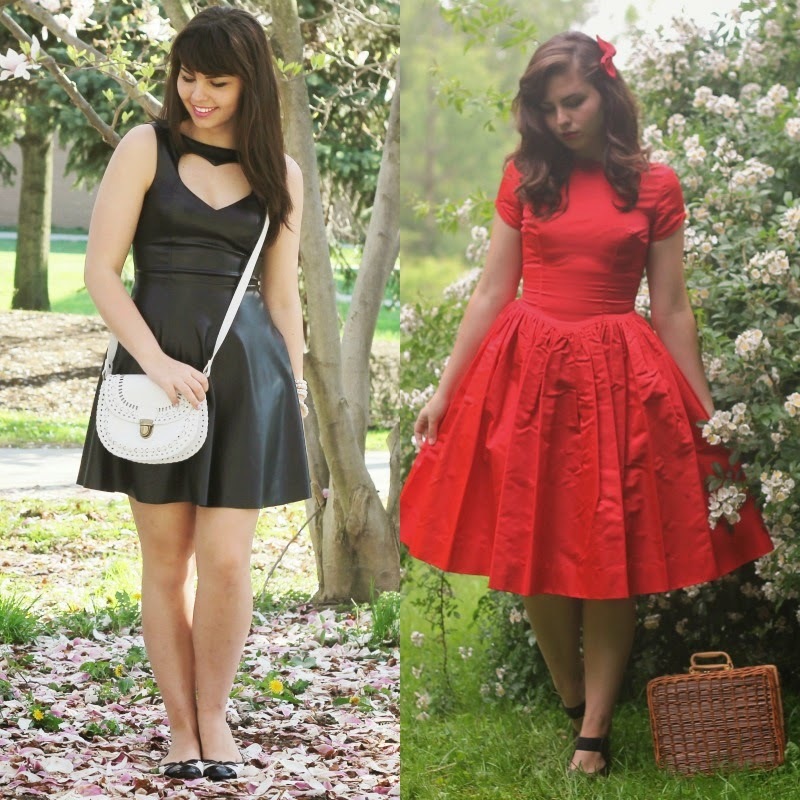 I remember seeing a photo of you in that red dress on Pinterest, and that's what brought me to your blog. 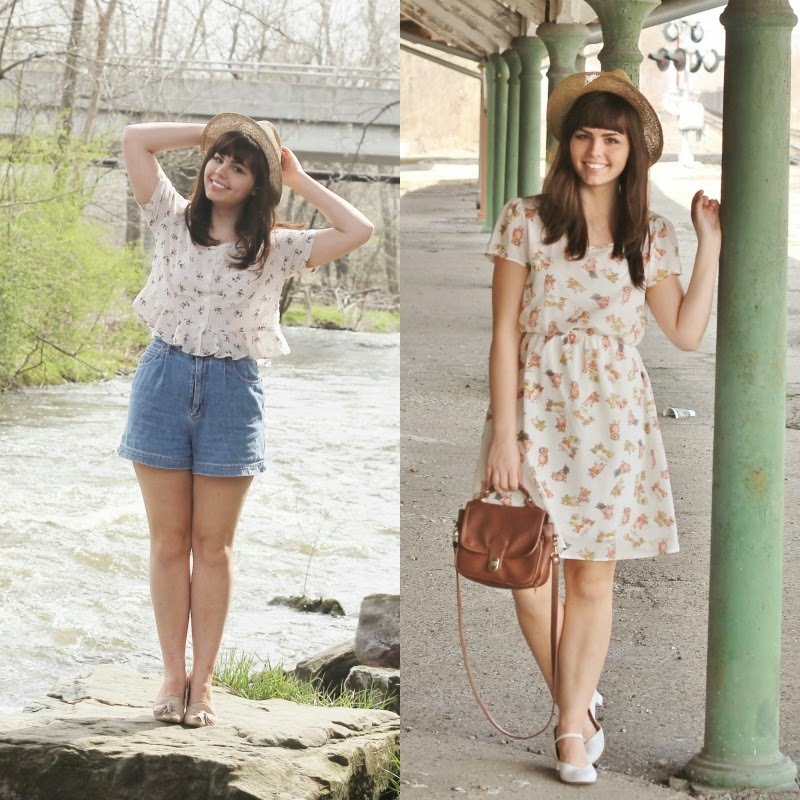 :) I love how varied yet 'you' your style is - you just seem to rock every outfit! Omg where did you get that black leather dress? ?